#3 and #4 are my favorites! We visited my friend Megan to give her new baby a proper welcome to the world. I got to snuggle her when she was brand new in the hospital, but my girls still needed to meet her. My girls are pretty much in love with Megan's new baby. Only one of them wants one of our own though. Believe it or not, it's Ellie. She couldn't give enough little kisses and she never wanted to stop holding her. We took some chocolate chip cookies with us. New babies should be celebrated with cookies. Because of an egg allergy at Megan's house, I found an egg-free recipe. They turned out super yummy! We ate the ones we kept for ourselves so quickly I never managed to get a picture of the final product. If you or your kids love cookie dough but you don't want to risk salmonella, this is the perfect recipe!! And since we are on the subject of cookies and treats, I made cake batter oatmeal for my girls this morning. And they both liked it! I cooked a packet of plain oatmeal according to the directions, using milk. Then I added 1/4 teaspoon butter flavor and about 1/2 teaspoon sugar. Topped it with jimmies, and it was cake batter perfection. I never realized cake = sweet and buttery. But it does. Trust me. You could use sugar free sweetener in place of the sugar to make it healthier. And then there was this moment yesterday. 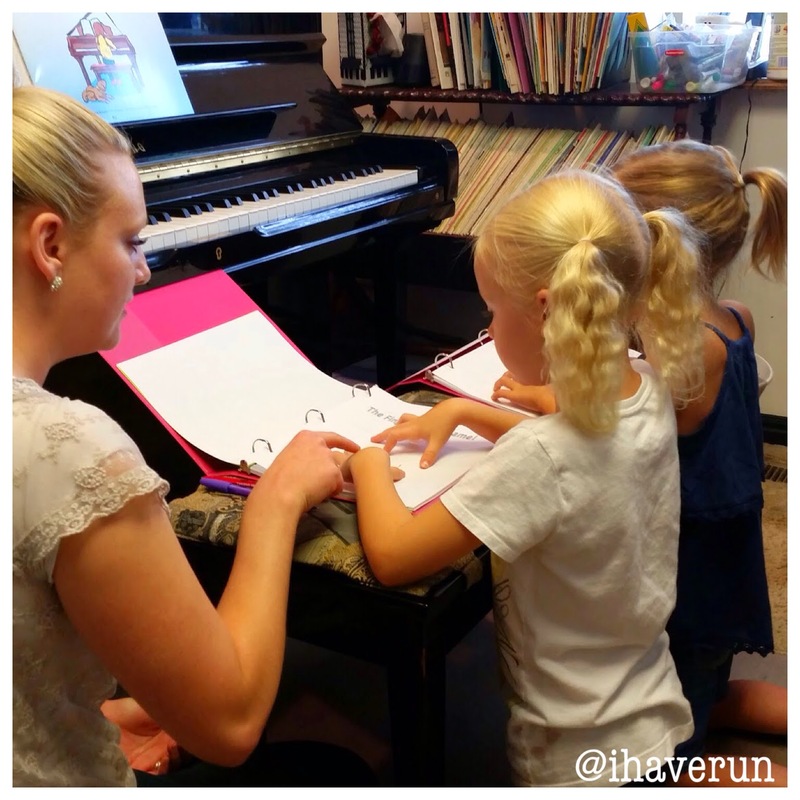 Ellie Bean's first piano lesson. She has been looking forward to it for weeks and I'm pretty sure it lived up to expectations, which I was a little worried about because I figured she'd want to come home knowing how to play Mozart. Or at least a few Christmas songs. I came home from my run yesterday to the girls listening to Christmas music. We aren't picky about when we break out the holiday tunes around here. So I have made 'cake batter' shakes using butter extract, but have never thought to do that in oatmeal. Ya. I will be trying that out pronto! I am so glad you came to visit me. And your girls were so cute and great with Felicity. Plus cookies...without eggs. You're seriously the best. I am seriously so lucky to have you as a friend!